Just in case any of you care what I think about what's been announced and shown (so far) for Sony's and Microsoft's systems at E3 2013, here's another stream-of-consiousness post. 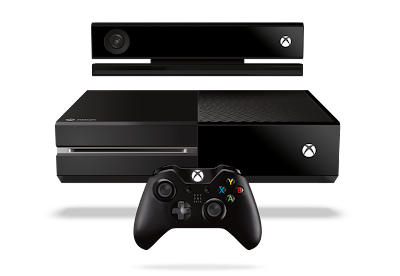 Xbox One price--$499. Yikes. It's going to be very interesting to see how the masses react to this price after the holidays, especially with the PS4 being available for $100 less. 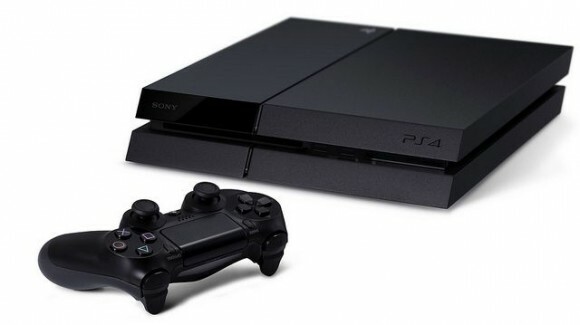 PS4 price--$399. Pretty surprising, actually. Maybe even stellar. Of course, it seems online multiplayer's no longer free. And the Kinect-like camera won't be included with the system. (It'll be sold separately for $59.99.) Still, that price should do a lot to sell the system in North America. "PS4 Supports Used Games"--Speaks for itself, really. Puppeteer--This may only be a PS3 game, but I'm completely gaga over it. Of course, it reminds me of Treasure's Dynamite Headdy, so I guess I shouldn't find that too surprising. Beyond: Two Souls--Can you say "uncanny valley"? I mean, I appreciate what developer Quantic Dream is going for with this PS3 title, but I can't say it appeals to me. Oh, well, hopefully it'll appeal to plenty of others. Final Fantasy XIV: A Realm Reborn--I'm far more interested in this Final Fantasy release than I am in Final Fantasy XV (aka the re-branded Final Fantasy Versus XIII). As such, I'll be paying close attention to both the PS3 and PS4 iterations of this MMORPG--especially if the North American versions retain the beautiful cover art of their Japanese counterparts. Kingdom Hearts III--Although I'm happy fans of this series finally have a mainline sequel to look forward to after years and years of portable spin-offs, I can't say it interests me at all. The Order: 1886--Love the setting. I'd like to have seen some actual gameplay, though. So many of these previews look the same--or at least leave viewers like me asking the same kinds of questions--when all that's shown are some cinemas. Transistor--No joke, this is more "my thing," in terms of both graphics and gameplay, than any of the other in-the-works games that have been shown for PS4 so far. Where art thou, Vita?--Seriously, Sony knows it still has a portable to sell, right? Where are the games (other than Tearaway, I mean)? Where's the price drop? I guess they're wherever the brass at Sony packed away their interest in this system. So, that's what I think of what Sony and Microsoft and associated third-parties have announced and shown at E3 2013 thus far. What do all of you think? I agree with you on the PS4 design, but then I think the last attractive console was the Dreamcast, so it doesn't bother me too much. The Xbox One at least has the crazy hardware for 1995 look going for it. I'm actually glad the camera isn't included with the PS4, as the necessity of owning a camera (like in the case of the One) makes me nervous. Also, XIV's (final?) box art has been up on Amazon for the past couple of weeks, and I'm afraid it doesn't look anything like the Japanese cover. I do love that Sony got to do another one of those presentations like the original PSX, when they just walked on stage and said "$299" and stuck the first non-self-inflicted wound into the Saturn (I wish that had gone differently! ), it's nice to see someone else getting that treatment! ;) I'm not really interested in either console at the moment but from a "console war narrative" perspective, I have to admit it's really exciting. Will consumer focus beat out the platform exclusives surely promised by tyrannical DRM? I can't wait to find out! The PS4 looks like the Xbox One got drunk and is leaning against a wall for support. The best thing I can say about the design is to wait a few years for the Slim model. Of the three consoles, I think the Wii U has the best design. I'm looking forward to trying Final Fantasy 14. After 5-6 years playing a Tarutaru in FF11, I'm kind of eager to slip back into those tiny shoes. As for the Vita, hopefully it'll pick up steam since Sony is mandating all PS4 games must use Remote Play. We'll see how it goes. I love my Vita, but the 3DS goes everywhere I go. Thanks for letting me know about FF XIV's PS3 box art, by the way. Sadly, you're right about the regular edition's box art. Yuck. The LE looks pretty sweet, though! It's not the Japanese art, but it's still very nice. Umm...the Vita is done for. Serously...WTF? You have a HUGE trade show, and you don't even try to promote your semi-not-doing-so-well portable? I just...don't...GET IT! I'm also interested in seeing what comes of this advancing "console war," if only because I like a bit of drama. Also, I'm not at all sure that NA gamers are going to avoid the Xbone like the plague, which is what many people seem to be thinking they'll do at the moment. One more thing I wanted to say about the PS4's price: I sincerely hope it helps bring about a price drop not only for the PS3 but for the Wii U, too. I want to get both systems late this year or early next (I'll likely go with a PS3 late this year and a Wii U next), but both are going to have to drop in price for that to happen. I'm also curious about FF XIV, of course--and I haven't even played FF XI. I'm guessing you'll be buying the PS3 version? As for the Vita: yes, it would be nice if it would pick up some steam, too. A price drop would help me decide to buy one, of course, but it needs many more games for the masses to consider it, I think. Like the Vita, the WiiU brought the beautiful system with tons of great features...but without games...why? Solution? Delay the system's release for six months on EVERY system...finish games. Polish games. Release it all at once. I'm sure it's a scary business model, but right now it just doesn't make sense to buy a system when there are, like, twelve games for it, six of which are shovelware. I also would like cheaper consoles. :) I really hope WiiU drops to the $250-$300 range, at $250 I think they'll really start moving them. And yeah, I don't know if people would really avoid the Xbone based on its online stuff (honestly I figured PS4 would do the same thing), but both that and its TV features are unique factors that we haven't seen before, so yeah, how much effect (if any) it will have is something I'm real curious about. On the TV side of things, my own dad is really interested in that, just as a cable box alternative, so clearly there is a market that wants that feature as well. Yeah, I'm planning to buy the PS3 version of FF14. I've never been much of a PC gamer (other than FFXI), and my current machine probably couldn't handle it anyway. And the Wii U at $250 would be perfect, I think--especially compared to the $399 PS4. But will Nintendo do that? Probably, but when? It's interesting that your dad is interested in an Xbox One just for the TV features. Do you think he'll actually buy one as a result? I'm pretty sure my parents don't even know the Xbone and PS4 exist. They likely know little about the Wii U, too--although they probably know a bit about it due to owning a Wii. Actually I have just looked into a bit more and it sounds like the Xbone doesn't do DVR, so I guess he wouldn't be getting one! It would have allowed him to ditch the cable box, which combined with his "smart TV" (his set up is way better than mine, haha!) is an unintuitive and unresponsive mess. No console manufacturer or anyone in games would ever make something so awful! But if the Xbone had all his apps (Netflix, Hulu, Pandora, etc) and DVR and it could play games, he was pretty interested. I guess that isn't the case though, but it certainly shows there's interest. Also on costs, I feel like going down so low (not exactly the "bottom" at $250, you can still go lower) it just puts it at a place that's really safe psychologically for consumers and really, REALLY drives home their core point, which is that you can have a great game experience without paying out so much. Maybe that's not feasible right now or they know the market better than I do (seems reasonable that they would!) but just dropping to $300 to me isn't far enough away from the PS4, which has so much more going for it in terms of "newness" for only $100 more. Just in case you haven't heard: in Australia the xbone will be $599 and PS4 will be $549. PS4 - while I have low interest in the PS4 I may consider it in the near future, say a year or 2 after release. Not really. The only reason I have a PSP was so I could hack it and play other stuff on it, lol. The Steam deals make it easy. Unbelievable deals on great, new games! lol You just have to be picky and patient. Eventually, you'll find a game you want for 10% off, then two weeks later it's 75% off. It's all about timing. Yea and don't forget PS4 won't have back compat with PS3 games. Yep, that's why I'm currently more interested in the PS3 than the PS4. Really too bad that Nintendo's the only company that seems to care about backwards compatibility these days. I wonder if they'll still care about it next gen? Another thing you should look at is the Steam Box, Steam's new console coming. Or so I've heard. I'd love to see a post about it with your thoughts. I ... I didn't even know such a thing existed before now, Tom! Thanks for making me aware of it. Hmmm, I'll definitely have to check it out. If it's cheap enough, it may be something for me to consider next year, as it likely would be a good way for me to enjoy PC games without having to sit at our computer. It depends on how they'll go with the next system. I can understand from a tech point of view, if the internals are too different, then back compat can be too difficult/almost impossible. If something is kept from previous gen, then it's possible. That's true--especially the last part. Personally, I wish they'd make a hybrid handheld-console next time around (so, a handheld that can be connected to the TV), but I'm not sure that's what they'd want to do or even should do from a business standpoint. The reason(s): 1) I prefer handheld gaming these days, 2) it would allow them to focus their game development on just one platform, which I think would be *very* helpful both for their designers/developers and for us gamers. But who knows, in a few years time, it might be possible. Or there could be some "detachable" component that allows for mobile gaming.